Cestra Butner wasn't exactly the most obvious person to save San Francisco's Speakeasy Ales & Lagers. In fact, Butner, a fixture of Oakland's business community who made a fortune building up an East Bay beer distributing company, calls himself more of a wine connoisseur than a beer fan. His favorite beer isn't even a craft brew, it's Modelo Especial. And in 2015, when he sold his distributorship, Horizon Beverage, he split the company between three buyers. One was AB InBev, the global beer giant. As part of the sale to AB InBev, Butner signed a non-compete agreement that prevented him from reentering the beer market. This included breweries and distribution enterprises. But that agreement expired last May, at around the same time Speakeasy, the Hunters Point craft beer producer, was put up for sale by a trustee. Speakeasy had all but collapsed due to a failed expansion and the crushing debt its former owner owed to Union Bank. The brewery shut down for a time and its employees were laid off. Rumors swirled that Speakeasy would be purchased by a beer giant and turned into a faux craft brand. Or worse, it might just shut down permanently. 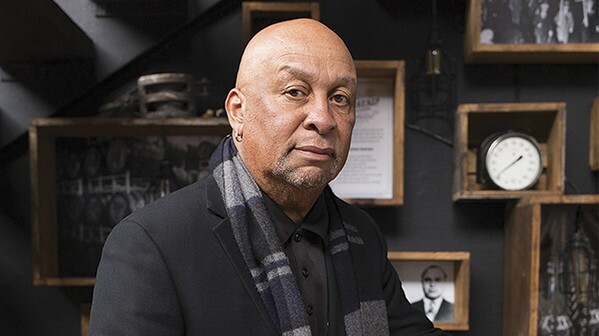 Enter Butner, a savvy businessman originally from the Midwest who settled in Oakland in 1981 and took a job with a local beverage distributing company. Six years later, Butner owned his own distributorship and was in contract to market Anheuser-Busch beers in the East Bay. He was just 33 years old. Over time, he acquired the rights to distribute numerous craft beers as well as the market-dominant lagers. He was responsible for stocking stores and watering holes across Alameda County and West Contra Costa. Black Enterprise magazine eventually recognized Horizon Beverage as one of the 100 largest Black-owned companies in the nation. Outside of business, Butner took on leadership roles in civic and philanthropic organizations, including the YMCA of the East Bay and Friends of Oakland Public Schools. He even made a run in 1998's mayoral race against Jerry Brown. Currently, Butner is a board member of the Port of Oakland. And most recently, he and his wife Teresa dropped $8 million of their personal wealth into a family foundation that will make grants to East Bay nonprofits. One of their first gifts was a half-million scholarship pledge to the East Bay College Fund. By all accounts then, Butner could have retired when he cashed out his beer distributing business. He could have sat back and enjoyed his success, but instead, he decided to leap across the bay and salvage Speakeasy. "It would have been a shame for a brand as iconic as this to just go away," said Butner in a recent interview. "We want to keep it being a San Francisco-born and -bred brand." In a way, Butner's bailout of Speakeasy is a story of an Oakland businessman rescuing a troubled but beloved San Francisco company. Butner's old business actually helped to grow Speakeasy, so he knew quite a bit about the brewery's appeal to consumers. In the 2000s, Horizon Beverage took Speakeasy's line of beers — which covers the basics from ales to IPAs to porters and lagers — from eight to more than 100 tap handles in East Bay bars. It also became a fixture in corner-store coolers from Richmond to Berkeley to East Oakland. But Speakeasy's success turned into an unsustainable bubble when, in 2015, its former owner undertook an ambitious expansion, borrowing heavily to increase output by 500 percent. Output increased, but nowhere near the projections necessary to pay back the bank. Butner seems unconcerned with the brewery's recent financial troubles. His plans are to simply reestablish Speakeasy's brands as ever-present options across the Bay Area. He's also rebuilding the brewery's physical plant. One piece of equipment lost during the debt crisis was the bottling line, so Butner just bought a replacement and had it shipped from the East Coast. Today, Speakeasy is producing 17 different types of beer. Butner and his brewmaster, Clay Jordan, who's been with the company through its ups and downs, decided to keep all the existing "usual suspects" — Speakeasy names its beers after gangster lore and noir themes. The brewery is turning barrels aplenty of Big Daddy IPA and Prohibition Ale. But they're planning new recipes, too. Several creations are already in production, including a saison for the spring and a dark lager for the fall. The recently renovated taproom is also open again and offers beer to drink on the premises, or for purchase. But even if the Bay Area thirstily reembraces Speakeasy, even if Butner works his connections in the distribution world to rapidly turn the brand into a Bay Area power player again, the brewery clearly has more capacity than it can fill. To use some of this excess space, Butner said he's going to take on contract brewing, although he bristles at the term. He says that instead of simply brewing other people's beer for a fee, Speakeasy wants to be more collaborative with smaller brewers in San Francisco and provide them a space to experiment. Whatever other business plans are fermenting in the re-opened brewery, the staff simply seem happy to be back on the job. "It would have been a tragedy," Jordan said about Speakeasy's near-death experience. "There are very few manufacturing jobs left in San Francisco, so to lose one is a big deal." In the dark days of Speakeasy's financial troubles, Jordan and a few of the remaining staff gathered up the remaining ingredients they could find in the emptied-out brewery and threw them all together in a concoction they ended up naming the "Holdout Stout." The beer actually tasted good, according to those who had a chance to try it. Oakland, Berkeley, and Alameda all boast great spaces to enjoy brews outdoors.